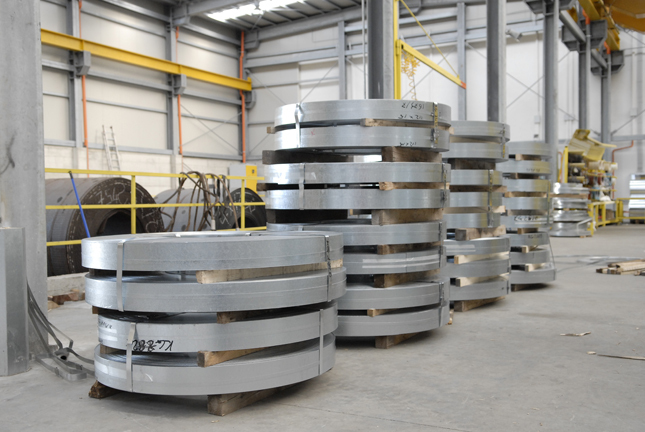 • Hot rolled coils in steel quality S235JR / S275JR – JO / S355JR – JO UNI 10025/90. • High quality hot rolled coils in steel quality corten S355 JOW, UNI 10028 P235GH – P265GH P295GH ship building sheets LR, RINA, approved thickness from mm 3 up to mm 12. • Hot rolled coils chequered and tear drop thickness from mm 2 up to mm 8. • Cold rolled coils UNI EN 10130 + A1 thickness from mm 0,6 up to mm 3. • Hot rolled pickled and oiled UNI EN 10125 – P11/P12 thickness from mm 1,5 up to mm 6. 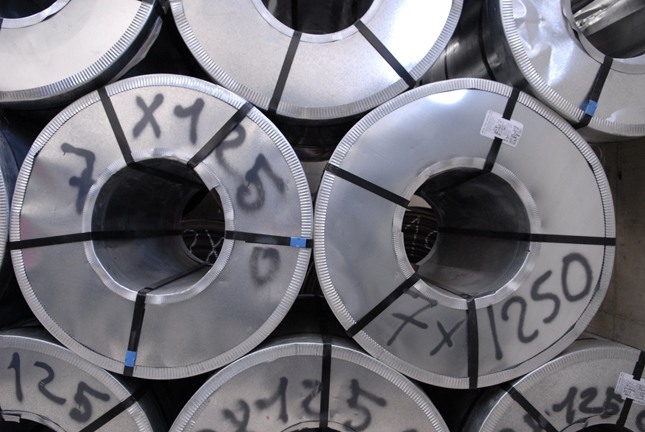 • Hot dipped galvanized coils FE P02 Z200/Z275 thickness from mm 0,5 up to mm 3.